In Things to Make and Doodle, children are invited to doodle each project with their own designs and then follow the simple, step-by-step instructions to cut out and construct their crafty creations. It allows children to hone their motor skills, while learning how to cut, fold and transform their two-dimensional drawings into three-dimensional keepsakes and gifts. 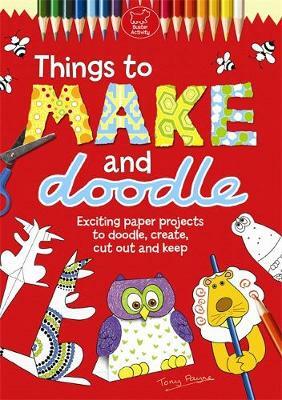 Packed with exciting paper projects to create and keep, this book takes doodling into the third dimension.